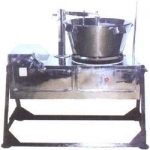 Our product range includes a wide range of milk mawa making machine, khoya making machine, milk mawa steam jacketted kettle, pista, badam, tukda making machine, multi mill for green chatni paste machine and sweets making machine. 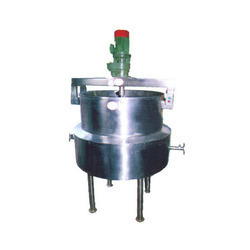 We are one of the reckoned names in this industry engaged into offering Milk Mawa Making Machine. The offered product is designed and developed as per the most current trends in market and used for making various kinds of food preparations. Incorporated with precise configuration, our offered machine is suitable for numerous food industry applications. We are engaged into offering a quality grade Milk Mawa Steam Jacketted Kettle to our esteemed clients. Our offered product is precision engineered keeping in mind the most recent trends in the market. Owing to its multiple applications and heat resistant body, it is widely used for boiling truity-fruity, tomato sauce and chilli sauce. 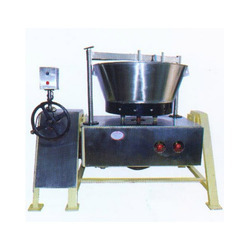 PISTA, BADAM, TUKDA MAKING MACHINE is manufactured using high quality stainless steel procured from reliable vendors. These machines are used for making pista, badam, tukda sweet. 1/2 HP electric motor and 5 different dies ensures the efficient working of the machine. Multi Mill for Green Chatni Pisai Machine manufactured by us is in high demand among our clients. We offer these machines in various shapes, sizes and specifications. 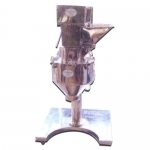 Our range of Multi Mill for Green Chatni Pisai Machine is widely catered to numerous restaurants, hotels, and various other fast food cafes. Our organization is engaged in manufacturing and exporting a wide range of Sweet Factory Machinery. These include flour vibro shifter machine, kaju pista (burada) rawa machine, kaju muska machine (malish), sugar chasni kettle tilting type and many more. We make use of latest machinery in the fabrication of these machines. 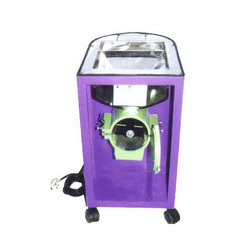 Looking for Sweets Making Machine ?